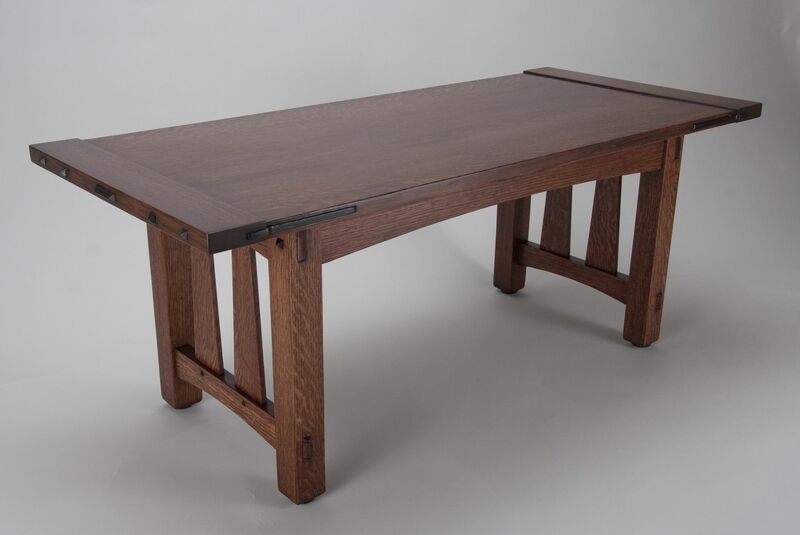 This is a commissioned work utilizing quartersawn white oak throughout; typical craftsman/mission style elements in this piece include the overhanging top, chamfered plugs, through wedged tenons, and iconic pyramidal shaped slats at each end of the table. The white oak is stained and glazed to achieve a traditional appearance. Dimensions: H 18.5" W 20.5" L 47"